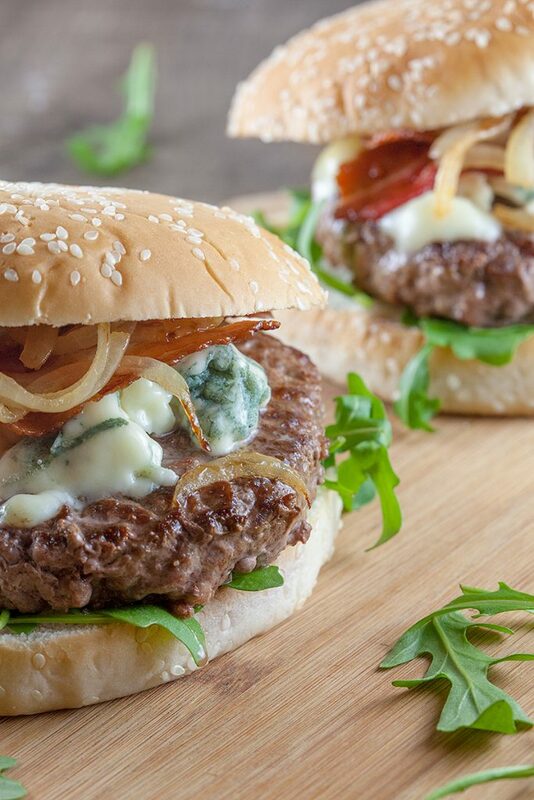 These blue cheese and bacon hamburgers proof that delicious food doesn't have to be difficult. It doesn't even need any extra sauce because of the amazing melted cheese. PEEL the onion and divide into (half) rings. RINSE the arugula if needed and get rid of any excess water using a salad spinner. You can use an oven or large skillet to create crispy bacon. TRANSFER the crispy bacon to paper kitchen towels to remove any excess fat. 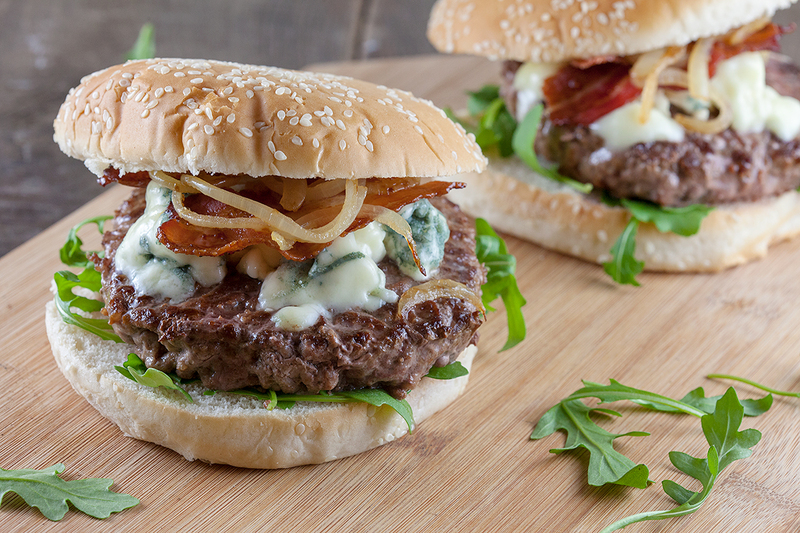 HEAT butter or oil in the large skillet and cook the burgers for a few minutes on each side. Meanwhile also HEAT some butter in a small skillet and sauté the onion rings for a few minutes. 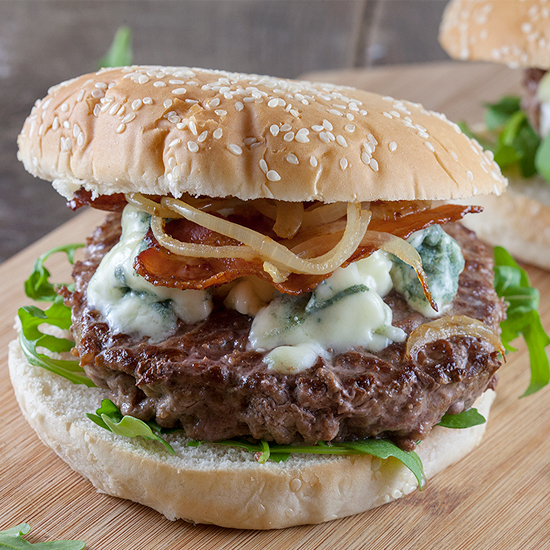 DIVIDE blue cheese on top of the burgers and put the lid on the skillet so the cheese will melt beautifully. OPEN up the buns and divide some arugula on the bottom. 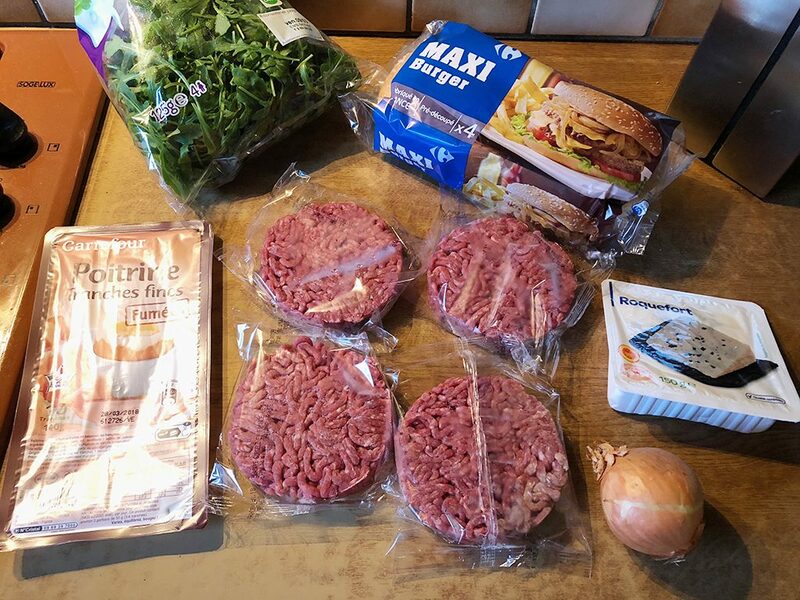 PLACE the burger on top along with slices of bacon and onion. We’ve used no extra sauce, the cheese also serves as a sauce. Enjoy!